Penguin chain have 5 restaurants in Sodepur(3), Khardah(1), Belghoria(1). In Sodepur Penguin Dhaba and Penguin Restaurant is most popular among few family restaurants. What I like about this place is the awesome taste of foods, ambiance and staffs, who are really very helpful to select menus and always wear a smile on face. Penguin Dhaba has A.C and Non A.C section separate. In Both parts sitting arrangement is comfy and specious. So they can easily accommodate a big group party. I want to mention specially the taste of foods here. I’m visiting this restaurant for minimum 8 years. And I have found the same taste always I have been there. 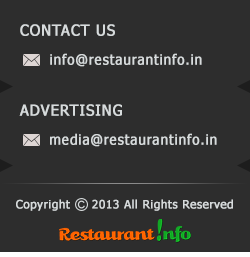 They make very good Biryani and Tandoor items. And Chinese dishes also is very tasteful. Recently I had Fish Kurkure there, which was not present in menu card but suggested by the person who was taking order. It was really awesome and lip smacking. I want to give their Biryani a special mention. In Sodepur, Khardah, Kamahati region there are many restaurants like Penguin Inn, Regent Restaurants, Disha, Zyka, Silver Spoon etc. But nowhere I have found such a tasty but less spicy Biryani of Penguine Dhaba. The meat is always tender doesn’t matter the time you are visiting and luckily I got giant pieces each time I have visited. Rice grains are also soft and good. Not too much oily and not full of the rich smell of Keora water, Biryani of Penguin Dhaba can get FULL MARKS anytime from a Biryani lover. They serves items in huge quantity. The Mixed fried rice and noodles contains rich amount of chicken, prawn egg etc. They serves mocktails and blossoms also. I always have Masala Cold Drink, which makes me feel easy after having a big meal.